"Last week was a tough week for the swims at the deep end of the lake. The water temperature rose from 13 degrees Celcius to 16 degrees Celcius. This made many carp move to the shallow part of the lake. In total 31 carp over 20kg were caught and 13 of these carp weighed over 25kg. 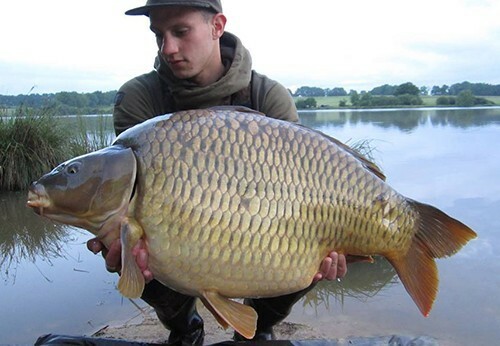 The biggest carp caught at Lac de Villedon this week were 27.9 and 30.1kg!"